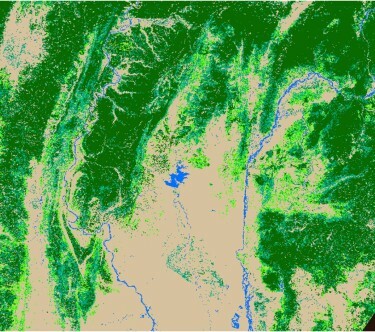 Dry dipterocarp forest is an endangered South Asian habitat type. 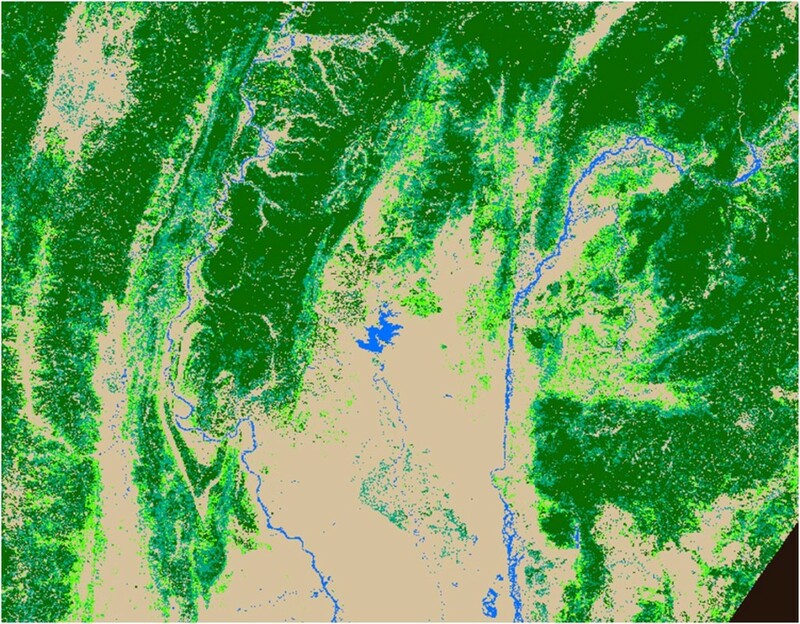 Conservation is difficult because few good maps exist: dry dipterocarp is particularly hard to detect using conventional remote sensing. 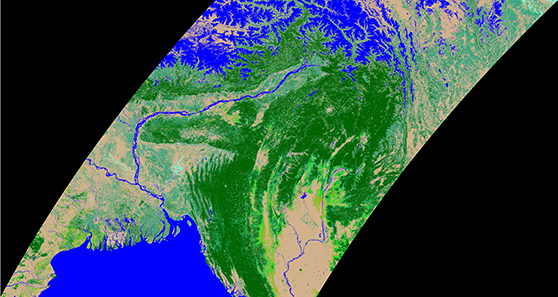 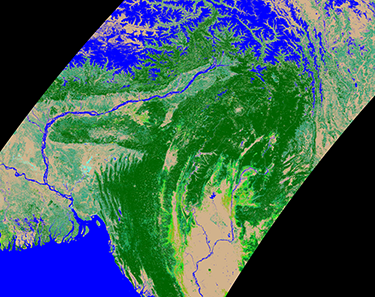 Working with an extensive set of ASTER and MODIS satellite images, we developed a multi-season multi-satellite methodology for mapping this illusive landcover.